If you’re like us, this winter took a toll on your luscious locks. Now is the time to start nurturing your hair back to health just in time for your go-to summer style. Don’t know where to start? Make sure to stock your hair care arsenal with the best hair products to help keep your hair looking great, no matter what. 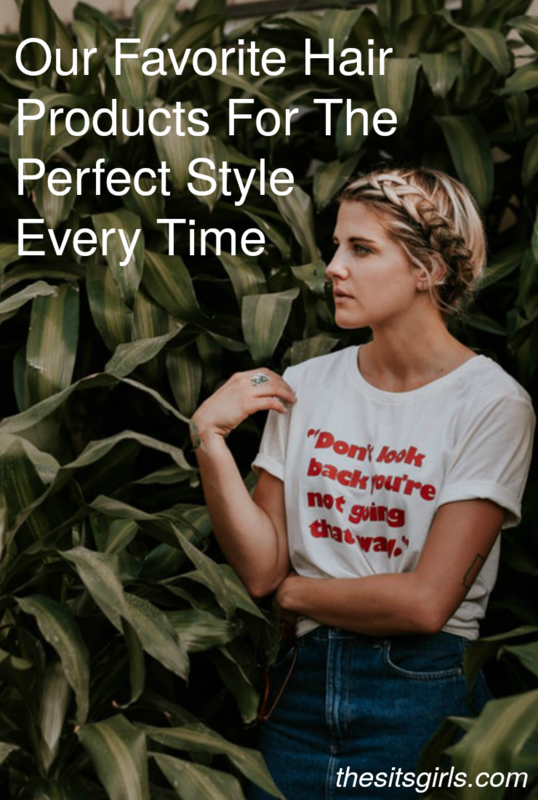 We are sharing our favorite hair products and tools that will help you get that perfect style every time. Don’t worry, we added some budget-friendly options, too! We are breaking this into two parts, because you will need both products to put on your hair and tools to style it. Note: this post contains affiliate links which may give us a commission at no additional cost to you. Achieve perfect blowouts on the go with Let it Blow! NanoIonic Technology helps to break up water quickly for reduced dry-time. Nanobeads within the dryer emit powerful negative ions that seal and smooth the hair cuticle, helping to reduce frizz, increase shine, and trap moisture inside for more healthy-looking, hydrated hair. 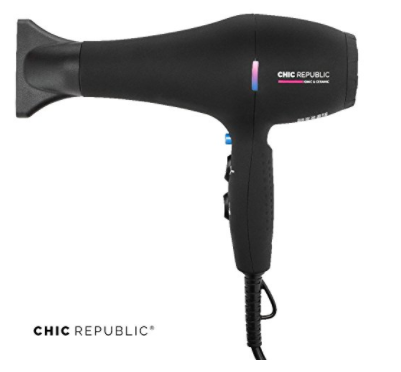 This more budget-friendly hair dryer creates the ultimate hair tool by using ionic and ceramic technology that protects your hair from damage while drying it super fast. Great for daily use by women and men! 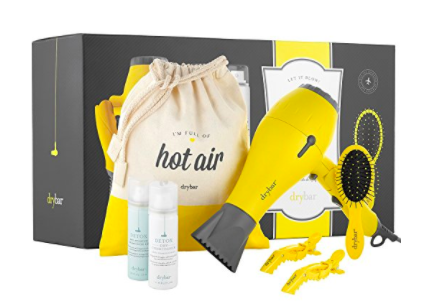 It was designed to ensure your hair looks great even after drying. The CHI Ceramic Flat Iron reduces static and frizz – leaving your hair exceptionally shiny and silky. It is the perfect tool for all your hairstyle needs. You can straighten, smooth, curl, wave, spiral, flip, and bend – just use your imagination and create your own personal flair. Fun Fact: This bad boy heats up in just one minute! When this video was created, we used the CHI in teal, but it’s exactly the same as the fire red version. If you’re looking for perfectly sleek hair, this flat iron is the perfect tool for you! 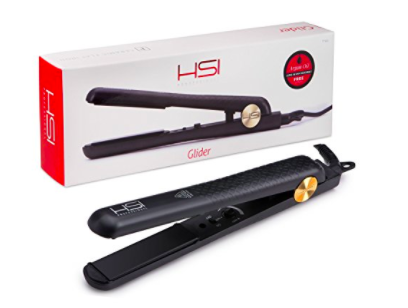 The HSI flat iron uses a ceramic ionic system for sure hydrated and shiny hair – giving you sleek hair with an attitude. This dual voltage worldwide edition (we used it in Europe – worked great!) has 100 percent solid ceramic tourmaline plates that protect the hair, giving it extra-shine, and its curved round edges will help you straighten, flip or curl your hair, salon-style. We love this flat iron because it gives us that professional look without breaking the bank – heeeyy! We love the 1″ size on this Hot Tools curling iron, because it’s very versatile and great for long or short hair. The best thing about this curling iron is that you are able to control the temperature to make sure it is set to exactly the heat you want. This Aveda paddle brush features extended bristles for easy detangling and reduces stress to hair and scalp during blow-drying and styling. It is ideal for smoothing hair during blow-drying to create smooth, straight styles. While this brush may be pricey, it can last you for years – we’re going on 6+ years with ours. 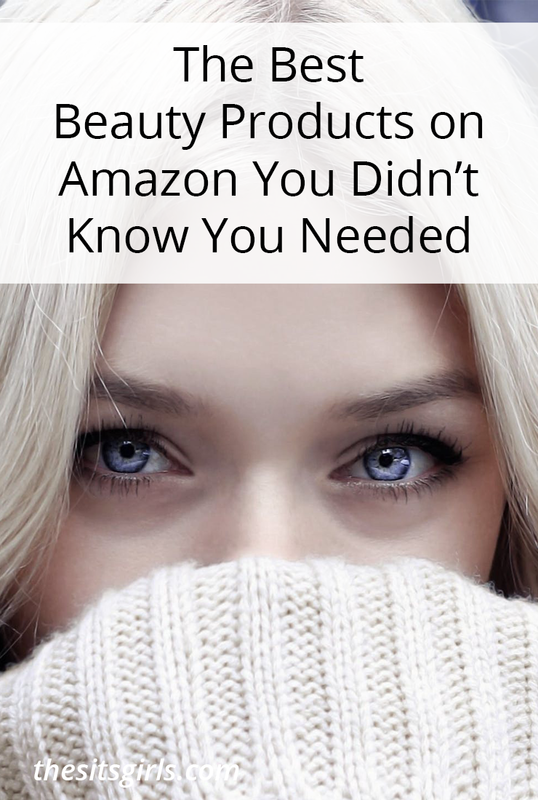 This budget-friendly option is a great alternative to the Aveda Wooden Paddle Brush if you aren’t looking to break the bank. 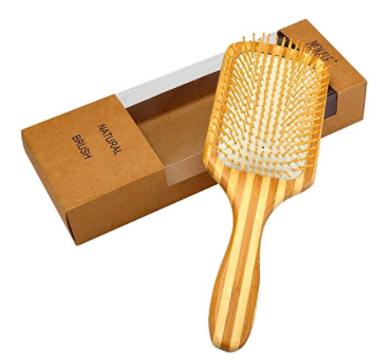 The bamboo bristles feel great on your scalp and stimulate blood flow. The Mokale Bamboo Brush gently brushes through all kinds of hair types and lengths distributing hair’s natural oil from the roots towards ends. It’s perfect to help maintain beautiful, healthy, shiny hair. Use it wet or dry, either way, your hair will look great! 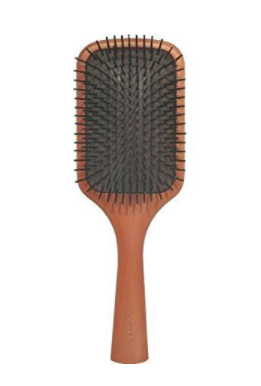 This synthetic bristle thermal brush features a vented ceramic barrel for faster and more consistent styling. This unique brush also includes an ion charged material designed to help smooth and shine hair giving you that red-carpet-look every day! This Rat Tail Comb is equipped with a metal tail pin is perfect for creating a very sharp part in the hair or separating out sections. The fine-toothed feature is excellent for teasing the hair towards the scalp for a fuller look. Made from harder plastic and metal so it can hold up very well to wear and tear. 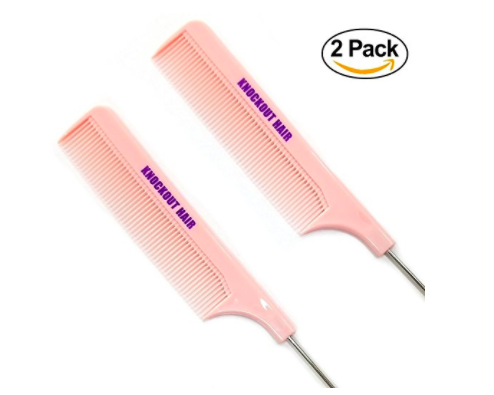 The comb is not too stiff and has a good amount of flexibility and has no static issues when using the comb end – great quality without the hefty price tag. This shampoo is great for colored hair. 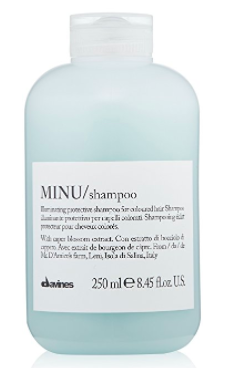 With a rich, full-bodied and foamy formula, the Minu shampoo contains Caper Blossom extract to gently cleanse, protect and extend the lifespan of colored hair! This illuminating protective conditioner is ideal for colored hair. This hair mask is formulated with Caper Blossom extract to protect color-treated hair making it soft and silky all day long! 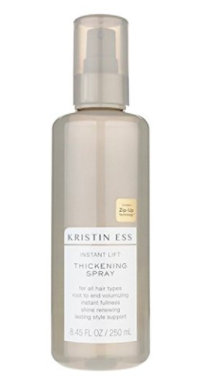 This thickening spray is great for all hair types with a root-to-end volumizing formula. You are guaranteed instant fullness and shine renewal. The lasting style support will keep your lock in check all day. This AVEDA Styling Creme nourishes hair and helps fight frizz in intense humidity. Air-dry or blow-dry to keep loose waves, straight or curly styles smooth all day. Powered by botanicals, including certified organic cupua and shea butters, this will keep your hair feeling so good. Thermafuse Hair Thickening Spray is specifically formulated to build thickness into each strand by binding to the hair shaft. This formula works with or without heat – scrunch and air dry or diffuse with low heat. Apply the texturizing spray to the roots to build volume and for extra control while blow-drying. If you have fine, thin, thinning, or limp hair, this formula is ideal for creating fuller looks that hold all day. 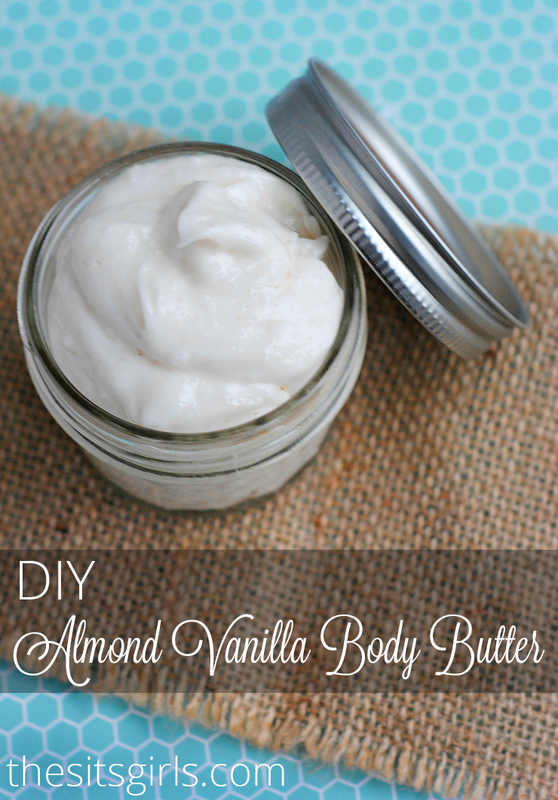 Perfect for all hair types and super budget friendly! 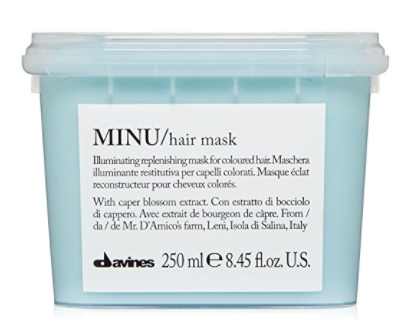 This Davines spray is great for priming hair for a perfect blowout. Your hair assistant blow-dry primer serves as a heat protectant spray, an anti-humidity barrier, and a shine-enhancer! It also reduces the time it takes to style hair. It’s so important to start with a primer before hitting your hair with heat! 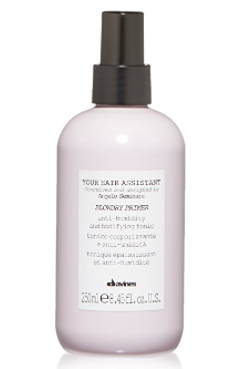 This blow-dry primer is a great alternative to the Davines spray. While it is super affordable, it is also great quality. The Advanced Hairstyle Blow Dry It lightweight formula allows you to achieve the perfect pro-look blowout at home. Before blow-drying your hair, use the quick dry spray and thermal smoother cream to tame frizz, protect from heat damage and cut your dry time in half. 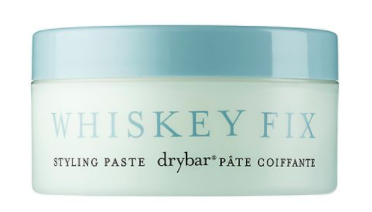 The Drybar Whiskey Fix Styling Paste is a unique wax/pomade that provides texture and medium hold to hair without making it sticky or stiff. 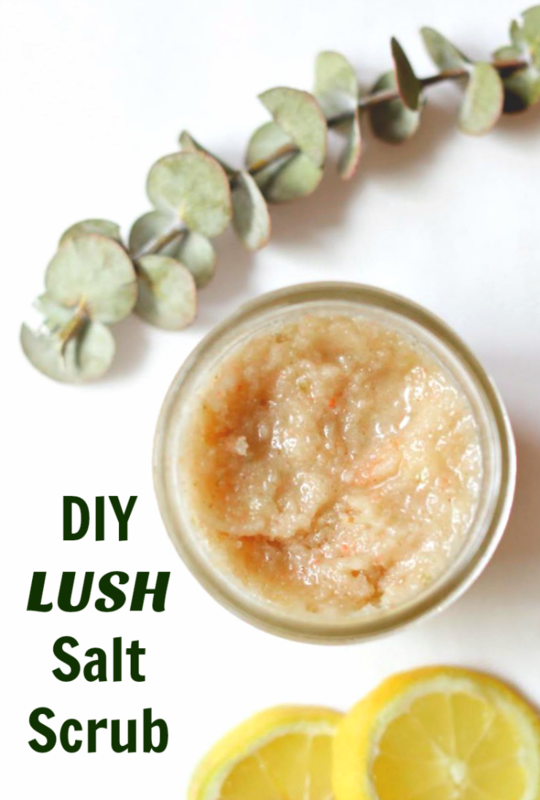 Great for edge control, updos, ponytails, and braids! This dry texture spray is perfect for all hair types. A dry, lightweight spray for instant body and texture with long-lasting hold. It was the winner of Total Beauty’s 2017 Best Texture/Beach Spray. Winner winner! This flex hairspray is perfecting for styling as it helps builds, shapes and adds structure to any look without build up. When used to finish a look, it gives flexible hold, natural movement and humidity protection with a beautiful shine that never flakes. Did we miss anything on this list of the best hair products? Leave your favorites in the comments so we can try them!